Given the complexity of forex trading, education and an understanding of strategies are essential for anyone trying to succeed as a forex trader. If you don’t know what forex trading is or how you best do it, you have to start educating yourself. And if you want to become successful at forex trading you will have to learn and implement useful forex strategies as well as develop your own. How to Trade Forex? You need to understand the basics. There are many famous strategies such as Candlestick patterns, lower, low, lows & higher, high, highs, as well as the single most important strategy of them all; bankroll management. We highly recommend that you learn about all of these strategies. However, it’s important to note that a forex strategy is useless unless you know how to best use it. The best way to learn more about forex trading strategies is to study other traders and to learn from their experiences. How you want to learn is up to you. You can, for example, read trading books or watch forex trading videos on YouTube, or listen to podcasts where professional traders share their most valuable advice. To help you out and make sure you get started on your forex trading journey, we have decided to share some of the best forex trading resources on the internet. We wrote this page for everyone who wants to improve their forex trading skills and learn more about specific strategies. We are certain that there is plenty of useful information for everyone from absolute beginners to seasoned trading professionals. If you are looking for the best forex brokers you can follow the link. Or skip straight to our IQ Option review, Plus500 Review or eToro review. In today’s modern society most people get all of their information online. Never before have you been able to have access to as much information as today. 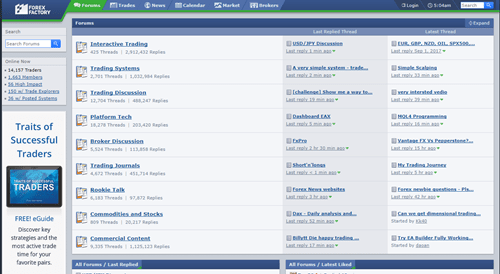 One of the most practical ways to learn more about forex trading is through forex trading forums. 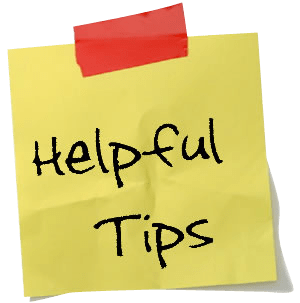 The great thing about forums is that normal people like you and me share their tips and experiences, and it’s not only experts dictating what’s “right” and “wrong.” Another good part is that the best forex forums get updated with new posts and information on a daily basis which will help you stay relevant with your trading. At the moment there are several huge forex forums that you should look into joining, and if you speak more than one language chances are that there are local forums available too. ForexFactory.com’s forum is one of the biggest forex trading forums on the Internet and what we would consider the best forex forum in 2017. The ForexFactory.com forum consists of several hundred threads with millions of posts written by thousands of traders and is by far one of the most valuable and comprehensive resources for any forex trader. We recommend these three threads to start with. Consider them the best forex forum threads on ForexFactory.com. EUR/USD over 50,000 pages full of precious information about the EUR/USD currency pair. This thread is of epic proportions, just be aware that the exchange rate is constantly changing and that some information quickly gets outdated. What helped you the most to be profitable consists of roughly 20 pages where experienced traders share their most valuable tips and strategies to beginners. A must read for everyone! Trading made simple despite the name this thread is full of interesting and more technically advanced advice and strategies for people who are already trading regularly. We also recommend that you check out the forex trading section on Reddit Forex since it contains a huge collection of tips, ideas, forex strategies, and hands-on examples from both professional forex traders and rookies. Understanding how to use live charts is of great benefit to any forex trader, it can help improve your trading a lot and its one of the fundamental things you need to understand if you want to become a successful forex trader. At BullMarketz, we don’t specialize in live charts. Though, we have friends in the industry that are experts on this topic. Check out the live forex charts from Fxexplained.co.uk and learn more. Throughout this full article, we are going to provide som of the best recourses readily available for anyone who is looking to take their forex game to the next level. Another great resource full of trading information is YouTube. New forex videos are being posted daily and there are years worth of trading tips to look through. However, only a few videos contain amazing information and only some can be considered the best forex videos on YouTube. In our opinion, there is one particular video that really stands out from the rest and that we would crown the best forex trading video on YouTube. The name on this video is “ANYONE CAN TRADE FOREX A VERY Simple Entry Technique”. Update: When we first posted this article the video had gotten over 250,000 views and 2,000 likes (100 dislikes) in less than 11 months – a great sign that thousands of other traders had found it as useful as us. Since then, the company behind the video, called Trade Empowered, has a new CEO (they are all still friends) and the video has been moved to the account associated with Jason who recorded it. Therefore, the video now has fewer views but the content is the same and it’s still very relevant. The video is 11:15 minutes long and it covers a simple entry technique based on lower, low, lows, and higher, high, highs, that could be applied by anyone. Jason offers clear instructions with on-screen examples that are easy to follow. Don’t forget to keep notes and you will be making profitable trades in no time. Forex trading books are a great source of information and the original way people educated themselves about trading. Before the Internet, there were no forums, videos, podcasts or e-books to read so everyone relied on trading books. Because of this, there are a huge number of trading books and forex trading books on the market right now. They cover everything from how to get started with forex trading to super advanced theories and specific strategies. There is really nothing about forex trading that hasn’t been mentioned in a book and we highly recommend that you try to read as many as you can. However, in order to help you with the overwhelming task of figuring out where to start, we have decided to recommend the two best trading books that we know of. One is focused on forex trading in general and the other is a great option for all new traders and anyone who is looking to start trading. 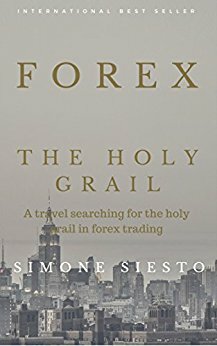 Forex The Holy Grail is a forex trading book written by Simone Siesto. It is considered to be the Holy Grail of forex books and it offers one of the most comprehensive reads on the subject. Many traders love this book thanks to the hands-on examples that Siesto offers in it as well as the trading myths that the author debunks. It should be mandatory for all forex traders to read this book at least once. Forex for Beginners is an introduction to forex trading written by Anna Coulling. It has been used by thousands of traders all over the world and it offers a greater understanding of how forex trading works without promises of huge profits and zero-fail trading strategies. It is clearly written for novice traders but it contains a lot of valuable information for more experienced traders as well. Forex ebooks are online documents, usually PFD files, providing information on trading. They are usually shorter than regular books but are nonetheless extremely useful for everyone looking to improve their trading. Technically, anyone with a computer could write and publish a forex ebook, and because of this, there are thousands of them available on the Internet. Unfortunately, many of them are not so accurate and even outdated at times. It can frankly be quite hard to know what forex ebooks are good and which ones are not so good. We have spent a lot of time studying forex trading and one of our favorite ways to do so is by reading forex ebook. Here are two of the best forex trading ebooks that we would recommend to fellow traders. 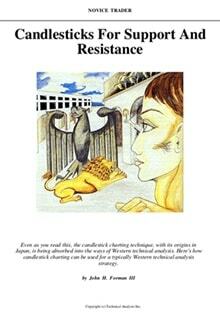 Candlestick for Support and Resistance is a forex trading ebook written by John H. Forman. It offers detailed insight on how to best use Candlestick for support and resistance – a strategy that is fairly easy to use and that can lead to fantastic results if used correctly. 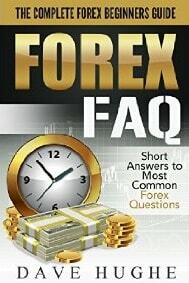 Forex FAQ – The Complete Forex Beginners Guide is a forex trading book written by Dave Huge. The book is created for Kindle which means it can be downloaded to most mobile devices. It is 40 pages long and it gives short but exact answers to many of the most common questions beginners have about forex trading. 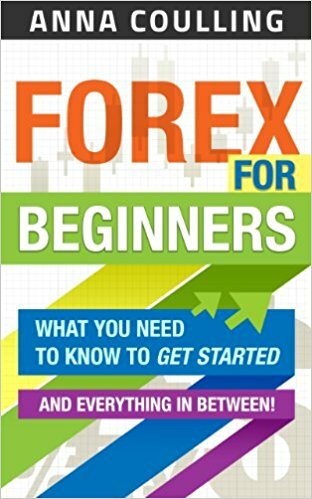 Undoubtedly, one of the best forex ebooks for beginners. 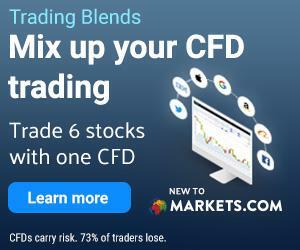 Note that all major forex brokers, including Markets.com, eToro, and Plus500 offer educational material in the form of ebooks. You can access this material by creating an account with them. These broker-specific ebooks are usually very resourceful and also something you should consider reading. Social media is playing a bigger and bigger part in the spreading and sharing of trading strategies. The best part with social media is that it allows both professional and regular traders to interact and share ideas and tips with each other. Right now the three most common social media platforms for forex trading are Facebook, Twitter, and specific forex trading networks. Below is a list of the best forex trading Facebook groups, pages, twitter accounts, and social trading networks. Forex Trading Tips and Free Signals(daily) in our opinion is the best forex trading Facebook group. Here you can find tips and trading signals as well as interact with other traders and account managers. The group has over 8,000 members and it’s a closed group, meaning that you have to request and be approved to join it. This also means that many of the scammers that usually terrorize these social media trading groups are excluded. However, there are still some unreliable users so be careful with who you trust. Learn Forex Trading – a Facebook page run by trading expert and writer Anna Coulling is another resource full of valuable information. Anna Coulling has written several trading books but is most famous for the one called Forex for Beginners. Nenad Kerkez runs one of the best forex trading Twitter accounts where he shares advice and strategies to over 12,000 followers. This is definitely an account you should follow if you are serious about forex trading. Kerkez also works for Admiral Markets who are famous for providing useful tips and account managing to traders. Lately the communication app Whatsapp has become a popular tool for sharing trading signals and strategies. You have to be invited to a Whatsapp trading group in order to use it to find forex trading strategies. A social trading network is an online trading community operated by a forex broker. There are several of them that you can join but the best and most popular one is eToro’s OpenBook. To use this industry-leading trading network you first need to open an account with eToro. eToro’s OpenBook also comes with a copy function that lets you copy other traders and the strategies that they have developed that have been proven to work. When talking about forex trading podcasts there is really only one that we think can be considered the best forex podcast. It is called the DesireToTrade.com/podcast and is one of the most comprehensive resources for forex trading strategies on the Internet. New podcasts are posted a few times a week and the subjects are always interesting and captivating. If you’re not already subscribed to it, you should check it out right away. They also have a free Facebook group where they share a lot of additional information and strategies. Joshua M. Brown runs the world’s funniest and best trading blog – thereformedbroker.com. Joshua is a professional trader that offers real-life examples and interesting views on all trading markets including the foreign exchange market. The best part is that he is one of few people on this planet that can talk about forex trading in a funny and captivating way – which is the reason he’s gotten to where he is today. Considering all the trading he does on different markets, it is crazy how he manages to post several blog posts every week, but we’re loving it. Please do yourself a favor and check out his blog as soon as you can, we promise that you won’t be disappointed. Forex trading is constantly getting more and more popular, and it feels like new blogs and portals are popping up on the subject every day. This has resulted in a never-ending influx of new strategies and proclaimed forex trading professionals posting articles and blog posts about forex trading. To help you in the right direction, we have searched high and low for the best forex trading articles. Here are two of the most important reads right now. This article is written with day traders in mind but the guidelines and rules explained can be applied to any form of forex trading. It focuses on money management, also called bankroll management, which is the most important trading strategy of them all. If you don’t know how to manage your money and limit your losses you will never become successful. Out of all of the strategies we talk about on this page and all the strategies you can find online, money management is the only one that is used by every trader. By reading this article you will be able to make more money while losing less in the process. As the heading explains, the author of this article interviewed 100 of the best forex traders and is now sharing their answers with the rest of the world. The article contains the best answers he received and offers great insight into the lives of successful traders. It is a great and inspiring read for both beginners and advanced traders. Finally, we would like to recommend you the best forex trading website on the web. It’s a site with comprehensive guides to the forex market, information about forex trading platforms, recommendations of the best forex brokers, a long list of the world’s most traded currencies, one of the best currency converters, and much more. The best forex trading website is BullMarketz.com, and we don’t say that lightly we really do believe that we offer the best forex product there is on the web. Why is it important to use a forex strategy? When you trade Forex it is quite important that you use some kind of strategy. It does not have to be a complicated strategy. Not at all in. In fact, most strategies for forex trading are actually quite simple. Even if they might seem complicated in the beginning. A Forex strategy for beginners should almost always be simple. There is no need to make it complicated when you are just starting to learn how to trade currencies. Regardless if you choose to use a simple or advanced strategy, using a strategy is crucial. Have an idea of what you are doing, it will help you trade more successfully. That is a collection of what we consider to be the best resources for forex trading strategies on the Internet. You don’t have to check them all out. However, we do recommend that you start with checking out the outlet that you prefer, whether it be a forex blog, forex book, forex Facebook group, etc. And don’t forget that no matter how much you learn about other traders and their strategies, it is crucial that you develop your own systems and strategies. Start by learning from others and figure out what works for you, then combine that with your own trading style until you have a solid base of personal strategies that make you as much money as you want. Lastly, we want to warn you about getting stuck in the same patterns. The foreign exchange market is constantly changing and if you’re not ready to adapt your strategies will soon be outdated and the market will chew you up and spit you out. You have to strive to always remain relevant.